Woodstock Lions Club President Tim Kemper, right, receives the Distinguished Service Award at the Woodstock Lions Club’s July 7 meeting. Last year’s district governor, Karl Cox, left, presents the award. 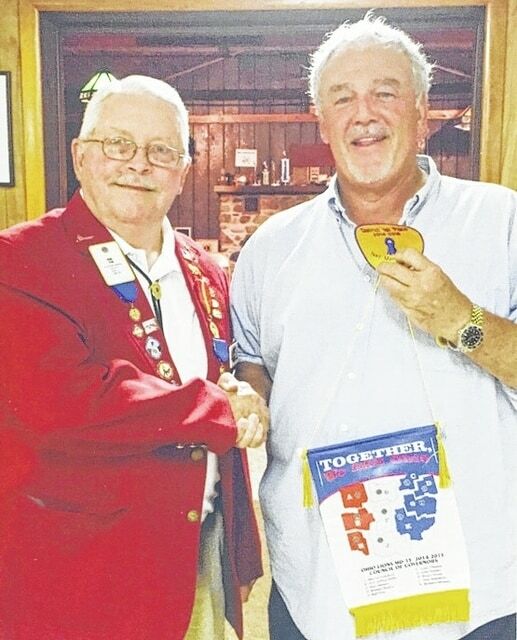 The Woodstock Lions Club is the top club for new members in the district.